We are big fans of David Frenkiel and Louise Vindhal at Green Kitchen Stories. We love their book The Green Kitchen 2013, a selection of delicious and healthy vegetarian recipes for every day. 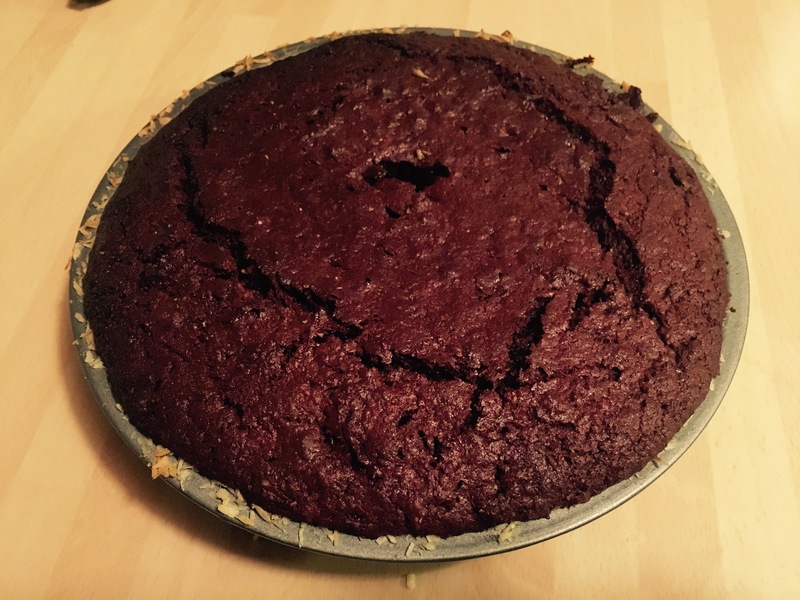 Tonight we thought we’d try our hand at the Decadent Beetroot and Chocolate cake. So first things first, weigh out your chocolate, oil and honey. 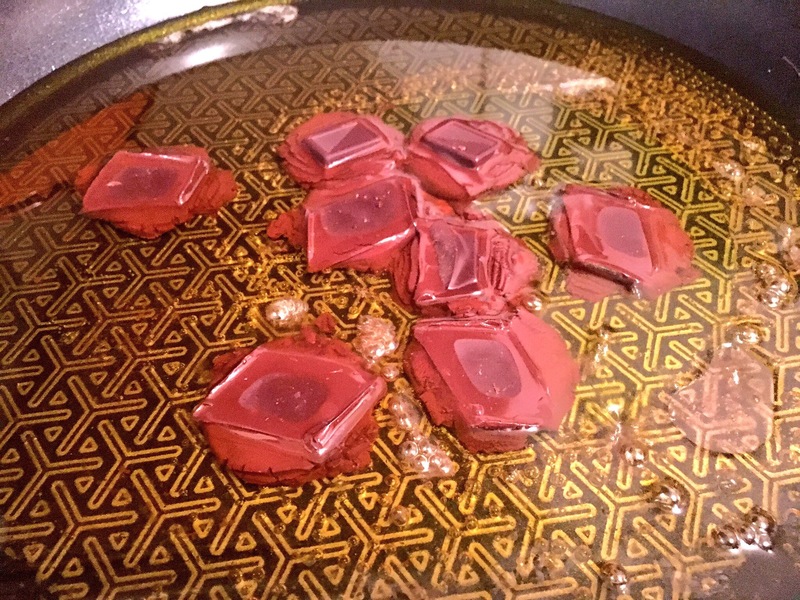 Heat the oil and honey first and then add the chocolate until it melts, remove from the heat. 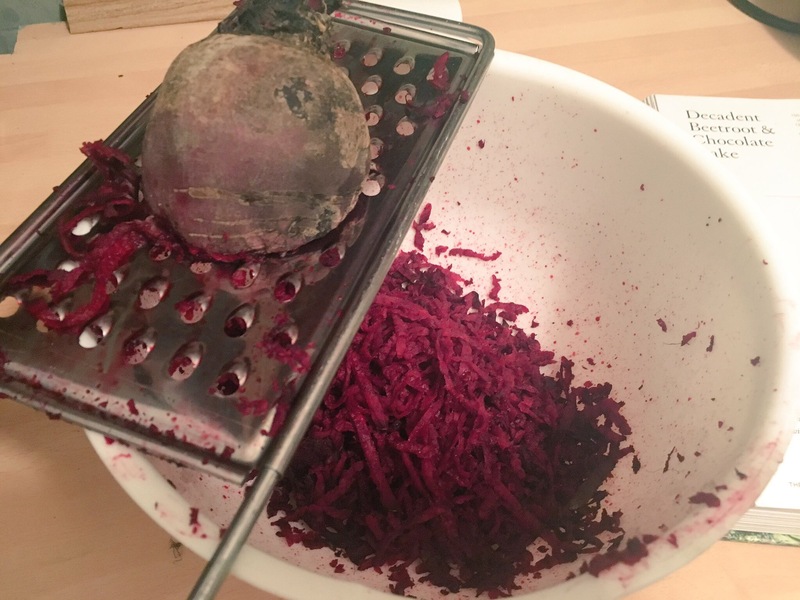 Next, grate the beets, probably the best fun you can have with Beetroot! Next stop, add the grated Beetroot to the pan, beat the eggs and add in to the mix. 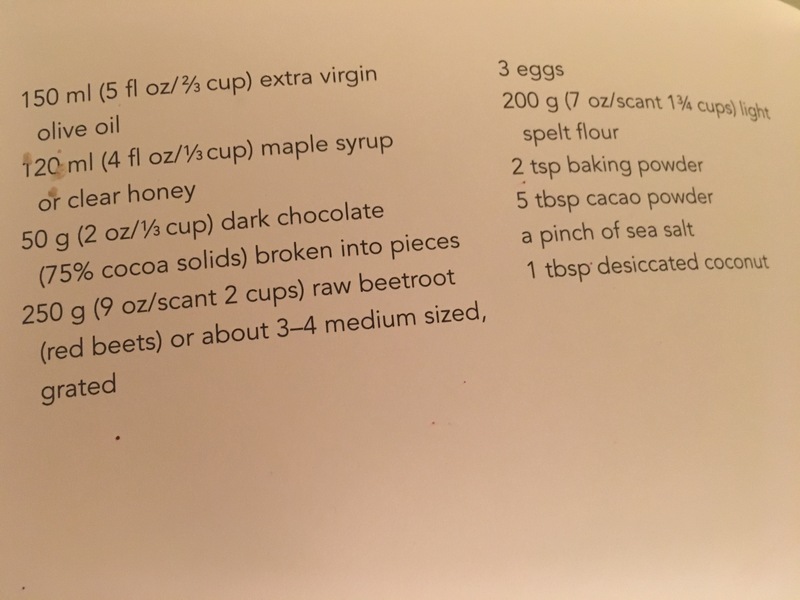 In a separate mixing bowl sift the Spelt flour and add the baking powder, cacao powder and salt. Grease a 20cm cake tin and pour in the batter. Pop in over 180/350/4 for 25-30 mins or until darkened on top and still a little sticky inside. Here’s how our cake turned out – not bad for a first attempt! Once out of the oven, let it cool slightly and then try it with a fresh dollop of creme fraiche. 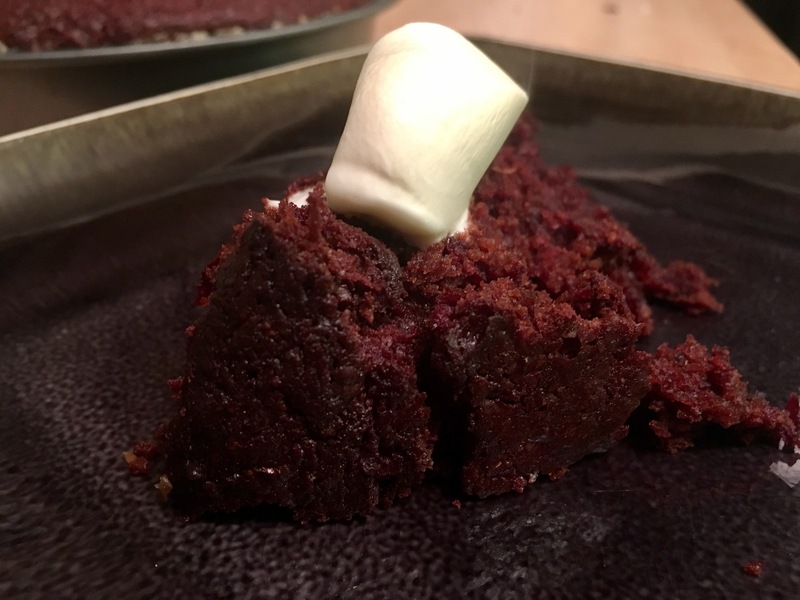 The Beetroot and Chocolate compliment each other, the perfect balance of subtle flavours. The texture is warm, a melt in the mouth sponge with soft Beetroot flakes. A great combination, healthy ish and delicious! You can check out more recipes from Green Kitchen Stories on their website here. Or follow their adventures on Instagram here.